Do you have ice hanging from your roof creating a dangerous situation for anyone who walks through your door? 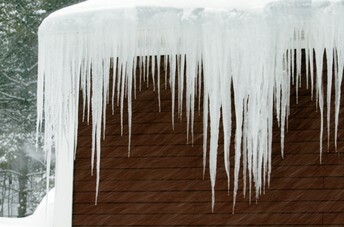 Has the winter weather been so crazy that you have an ice dam on your roof that is starting to cause damage? Let us remove that ice for you. We have a professional staff that can remove the ice in a safe manner using the correct equipment that most homeowners do not own. The best part is you don't have climb on the roof and worry about falling off. Not only that, but you don't even have to come outside in order to remove the ice. Leave the dangerous situation to the professionals. or click below get a FREE quote!